What do I do if I cannot collect samples for a location? Do you collect Quality Control Samples? Have you been wondering how to set up Obzervr so that you can collect them when you go out to the field? Blanks: a blank is used to ensure contamination has not occurred throughout the lifecycle of the sample from collection to results. A blank can be a bottle of laboratory grade distilled, deionised water or lab grade, certified-clean sand. Trip Blanks, Equipment Blanks, or Field Blanks are examples of a Blanks. Spikes: a spike is when a known amount of an analyte is added to a sample and comparing it to the parent sample. A Trip Spike might be used to test for variation in matrix concentration throughout transport and handling. Duplicates: a duplicate is obtained by splitting a sample into two containers. The samples are then referred to as a parent (or primary) and duplicate. Duplicates are used to demonstrate the reproducibility of the sample. Triplicates: a triplicate is obtained by splitting a sample into three containers. The samples are then referred to as a parent, duplicate and triplicate. The triplicate is sent to an external, second laboratory for quality assurance on the first laboratory. In Capture, these four types of quality control are found in both the Plan and Obzerv phase of a job. Quality Control is in the Plan phase and Sampling is in the Obzerv phase. However, not all Field QC is found in the Quality Control section. A Field QC will be in the Sampling section if, when sent to the laboratory, it has the same containers as the primary sample set. Read How to use the Sampling Workflow on Capture for more information. The Sampling section is configured based on the Laboratory Quote entered or uploaded (using our Wizard) into Obzervr Manager. How to create a Laboratory and How to upload a Laboratory eQuote on Obzervr Manager outline how to do this. Your Laboratory Quote outlines the containers/bottles that the laboratory will test upon arrival. However, not all Field QC have containers, and therefore, they are not accounted for on the quote. The Quality Control section accounts for the QC such as Trip Spikes or Blanks which are collected once a trip and are in different containers to the primary sample set. Either way, if your Quality Control Samples and their containers are not outlined on the Quote, you will need to contact your Laboratory and arrange to have them added. This is because the Test Plan and Table names are used in the generation of the electronic Chain of Custody (eCOC) sent to the Laboratory. The Suite is also required when creating QA/QC Sample Types in Manager. So how are QA/QC Sample Types setup in Obzervr Manager? Let’s take a look. Upload or configure your Laboratory eQuote. Read How to upload a laboratory eQuote for more information. Navigate to Configuration > Sampling > QA/QC Sample Types. Select Add/Edit QA/QC Sample Type. Enter a name (i.e. Trip Blank) and attach to a Suite (i.e. Ag Schedule B). You can also enter the QA/QC Type, Matrix, Collection Method, Analytes and a Description, but they are not required fields. Attach the Trip Blank QA/QC Sample Type to your Assignment Type. See Obzervr Terminology to learn what the Assignment Type is. Access the Assignment Type in BUILD > Assignment Setup > Assignment Type. Check the Quality Control Samples have been attached by synchronising the Capture Mobile App and creating a new Assignment. Navigate to Plan > Quality Control and check that the correct number and type of Containers are displayed. What if the Suite and Method have too many containers or the wrong type of containers? Note that the container type, label colour and volume are determined by the Suite and its Methods. You can check or edit the Containers by accessing the Laboratory section of the Manager Web Portal. You will need to know the Test Plan and Table for the Suite you attached to the QA/QC Sample Type. Click the Actions drop down menu and select Test Plans. Choose the Test Plan, Table, Suite and Method. If you want to edit the Method to change the Containers or Analytes, click the Edit pencil icon in the top right corner. Edit the Container Type, Preservative, Label Color, Holding Time, Container Volume and Lab Ref No. Click Save. 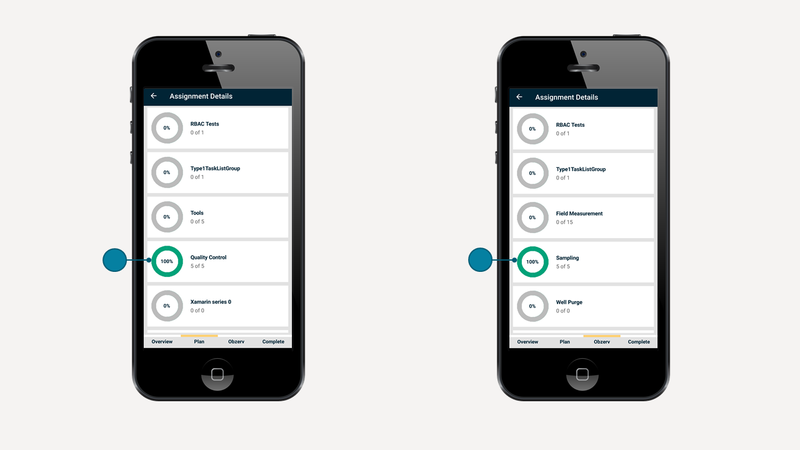 Synchronise the Capture Mobile App and create a new Assignment to view the new Quality Control Sample and its Container properties. So that's how you setup QA/QC Sample Types on Obzervr Manager! You will need the Sampling Config Admin, Laboratory Admin, Assignment Setup Admin, Web User and Mobile User roles to perform all the steps. We'd love to hear your feedback. Add a new post or vote on our Ideas & Suggestions Community so we can build the features you really want. We are working hard to make every interaction with Obzervr a pleasant experience. We invite you to be part of the journey.